The future of policing is five feet tall and weighs about 400 pounds. Don’t worry, it’s not what you think. 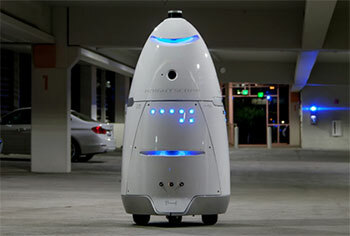 Knightscope calls its K5 robot a fully autonomous data security machine. 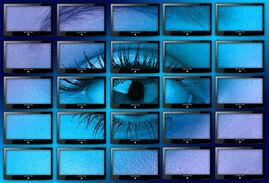 It is meant to augment security and law enforcement with the tools of modern information technology. K5 is not supposed to be a gun-toting Robocop. It’s better. Look out, K9 cops. Knightscope’s K5 robots are using sensors and AI to lend an extra set of “eyes” and “ears” to law enforcement. According to the latest census, the U.S. has 325 million people. Only 700,000 local, state and federal police officers are charged with protecting and serving. There simply are not enough eyes and ears for the task. The K5 robot was built to fill in the gaps using sensors and artificial intelligence software. The New York Times ran a story April 13 about the software tools banks and retailers are using to watch fraudsters online. Behavioral biometrics is a field of data science that tracks how we type, tap and swipe when interacting with computers. It goes miles beyond static metrics like passwords and fingerprints because it is frictionless. Users never know the data is being collected. The Chinese are taking this idea to a new level. The Ministry of Public Security is building a facial recognition database capable of recognizing any one of its 1.3 billion citizens within 3 seconds. According to the South China Morning Post, the project is expected to achieve 90% accuracy. It will store portrait information of every Chinese man, woman and child. This is just the start. The MPS system will also perform real-time data analytics, tracking and other unspecified actions. In addition to surveillance, data will be culled from social media, banking histories and personal devices and become the basis for a national reputation database. This is every bit as dystopian as it seems. The government is using the database to restrict movement and, in some cases, intern residents who have been identified as threats by predictive analytic models. By comparison, Knightscope’s ambitions are modest. Like humans, K5 uses five sets of senses to orient itself in the physical world. A LiDAR sensor sits atop the device. It uses 16 lasers in the halo, and five more in the body of the device, to make detailed 3D maps of the physical environment every 20 milliseconds. Ultrasonic sensors stop K5 from clumsily running into things. A GPS sensor uses information from satellites for directions. There is complex wheel odometry to calculate distance. And inertial measurement sensors, much like the accelerometers found in smartphones, keep the diminutive robot from toppling over. All of this is in addition to the latest gear to hear, see and record incidents. The K5 robot is watching to predict and prevent crime, which Knightscope hopes can save the country half a trillion dollars. The entire device can be purchased for $62,000, including constant updates from its cloud computer brain. For a 24/7 robot that is capable of recording images and interactions precisely in time and space, that is a bargain that works out to $7 per hour. Think of its value filling in gaps for law enforcement. Knightscope is a private Silicon Valley company, founded in 2013. Company managers figure crime has a $1 trillion negative impact on the U.S. economy. Ultimately, they hope to cut that hefty figure in half by predicting and preventing crime. So far, its robots have been deployed to parking lots, sports stadiums, office buildings and shopping malls. K5 is more Paul Bart than Robocop. The K5 robot was built to fill in the gaps using sensors and artificial intelligence software. For investors, the play at this stage is still picks and axes. There is gold in the hills of autonomous security robots. Unfortunately, the businesses invested directly are too young, too immature. Nvidia (NVDA) is building the leading deep-learning platform in the world. Software engineers are using it to do the kind of massive simulation that will ultimately allow companies like Knightscope to build fully functioning, predictive robots capable of helping police reduce crime. Granted, security is likely to be a small part of Nvidia’s future. The company that began by building the best graphics cards for PC gamers, has a bright future in self-driving cars, healthcare services and Internet of Things devices living on the edge of networks. 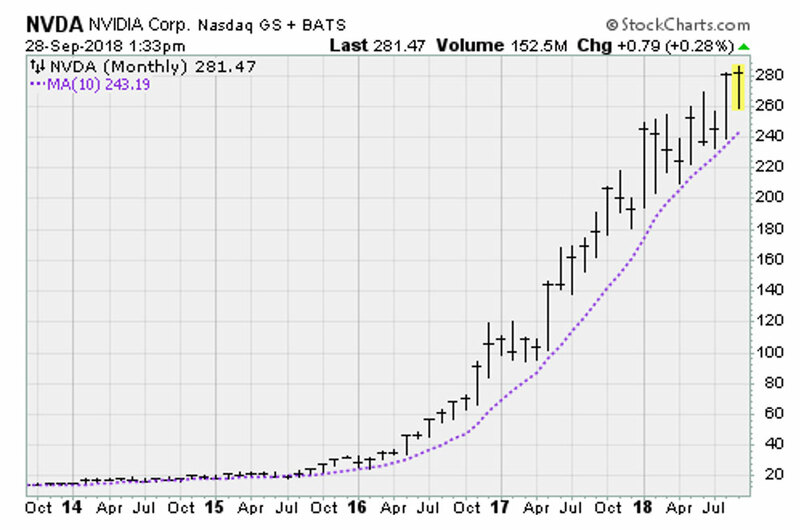 At 33 times forward earnings and with a market capitalization of $164 billion, Nvidia is still reasonably priced considering its excellent track record and potential to grow. During the past two years, revenue growth has been in the 40% range. In fiscal 2018, sales shot to $9.7 billion. 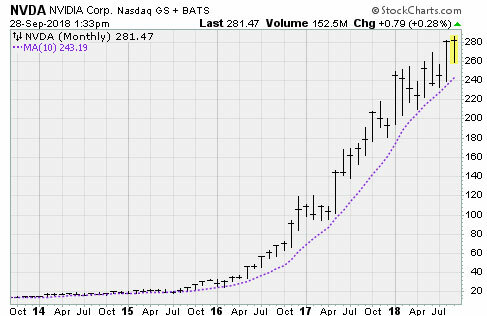 Nvidia shares are just emerging from a modest pullback, and appear buyable for growth investors who understand the risks.